How have you guys beeen? I have been sick for an entire week with a cold, cough, fever, the whole package! Which is why I have been M.I.A here. But I am FINALLY feeling better and I'm here today with a new look! 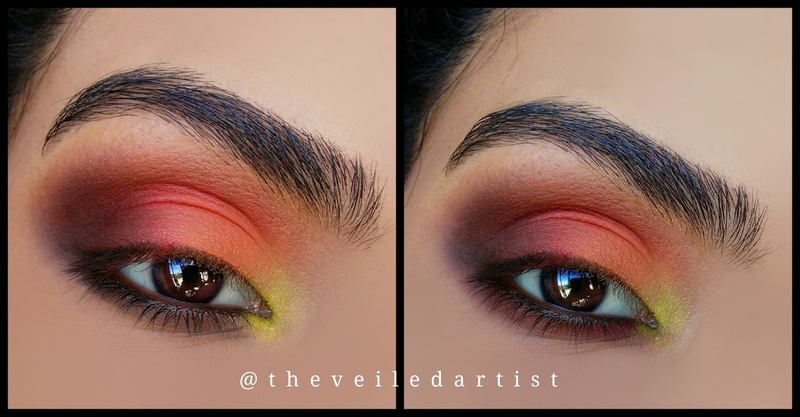 Today's tutorial is going to be on this gorgeous matte sunset inspired ombre smokey eyes! 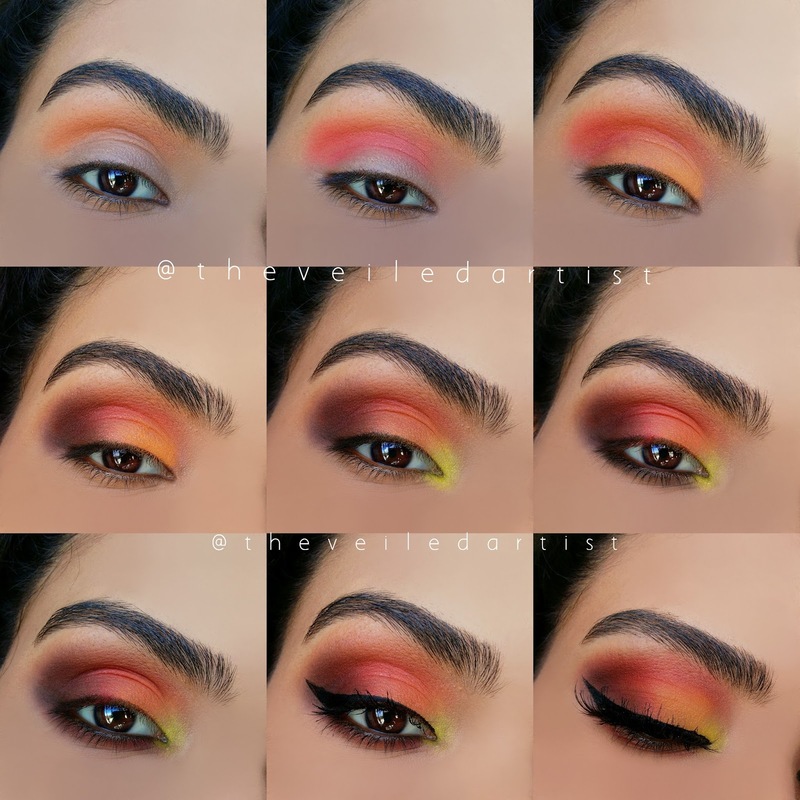 All the steps in this look are super simple, but you need to go crazy with the blending. 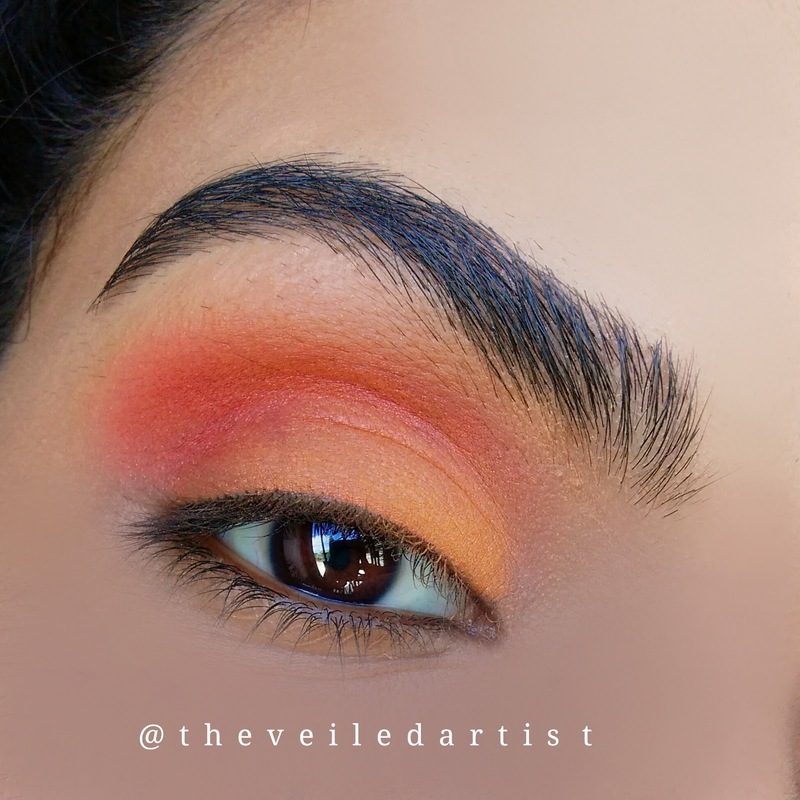 Since we're working with bright, all matte shadows, taking the time to blend is so important to make all these bright shadows look seamless and like they're melting into one another! So, let's get started! 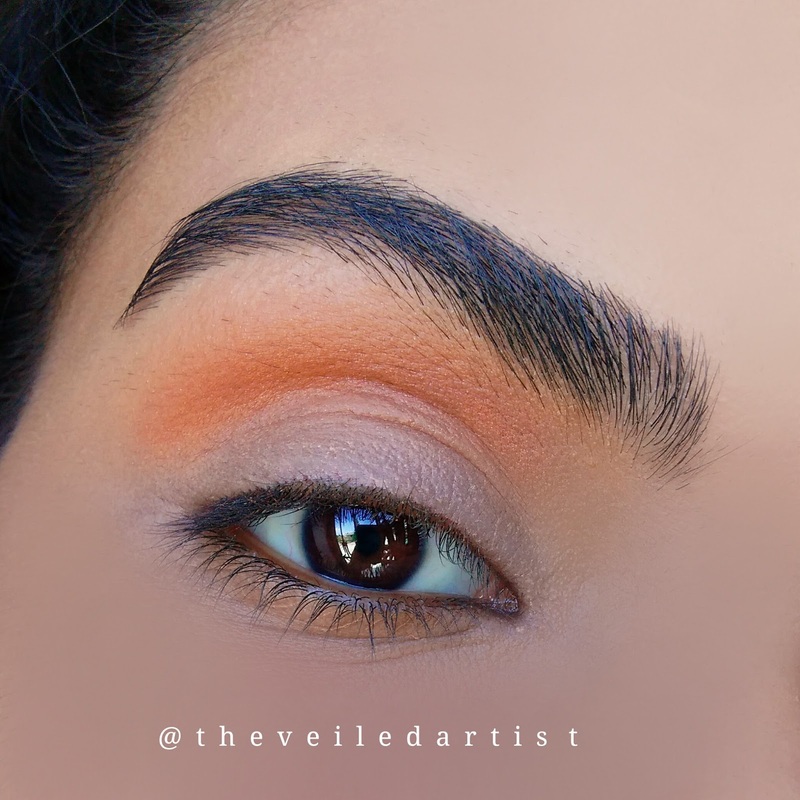 After priming your eyelids, blend the matte orange eyeshadow into your crease and a little above it. 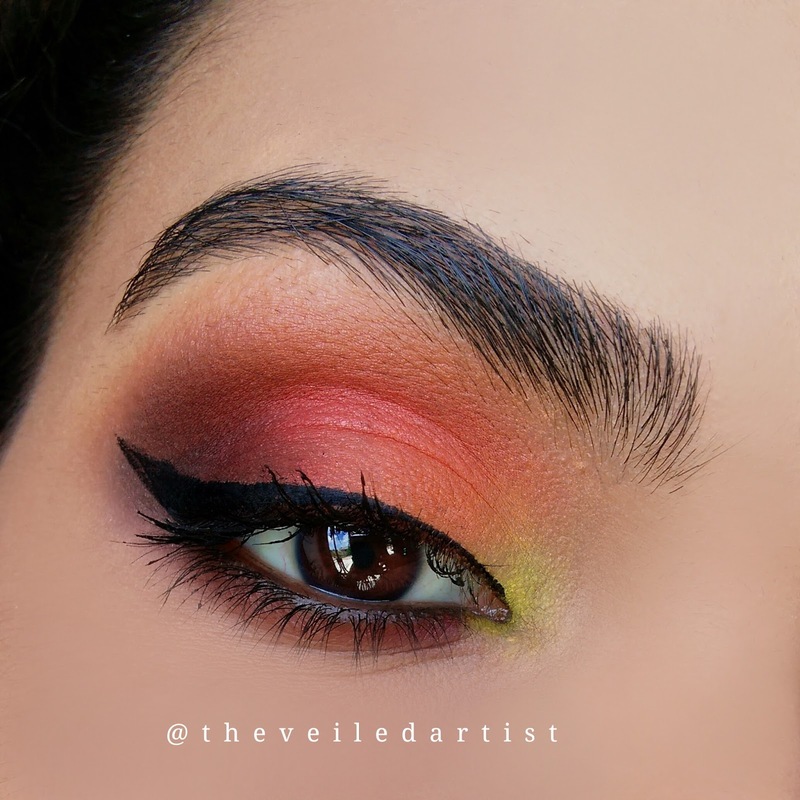 Blend the matte red eyeshadow directly into your crease and onto the outer half of your eyelids. 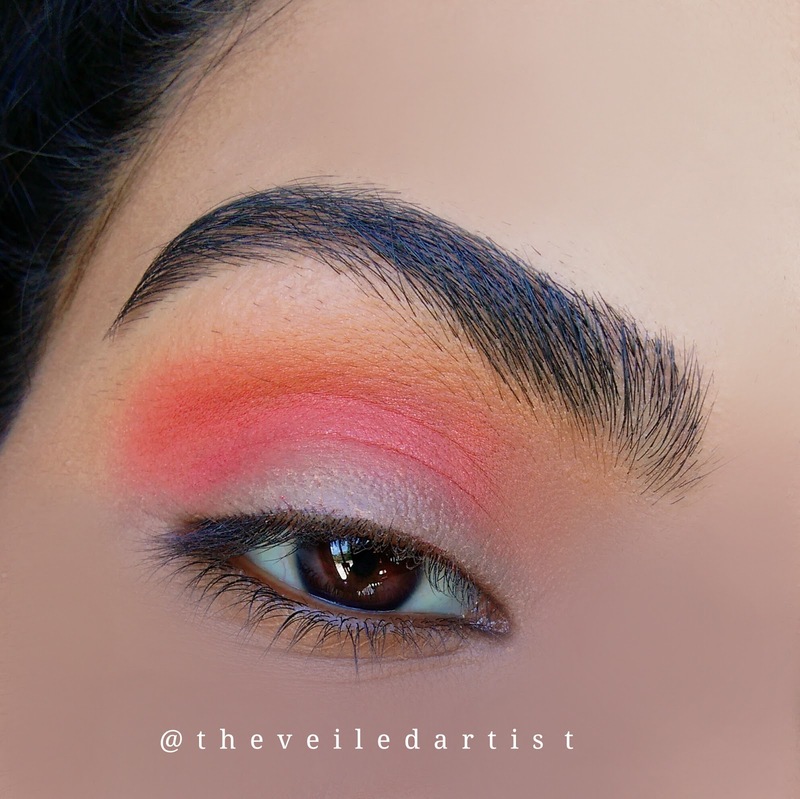 Apply and blend the same matte orange eyeshadow we applied into the crease, onto the inner half of your eyelids, blending it into the red we previously applied. Blend the deep taupe shade into the outer half of your lids. 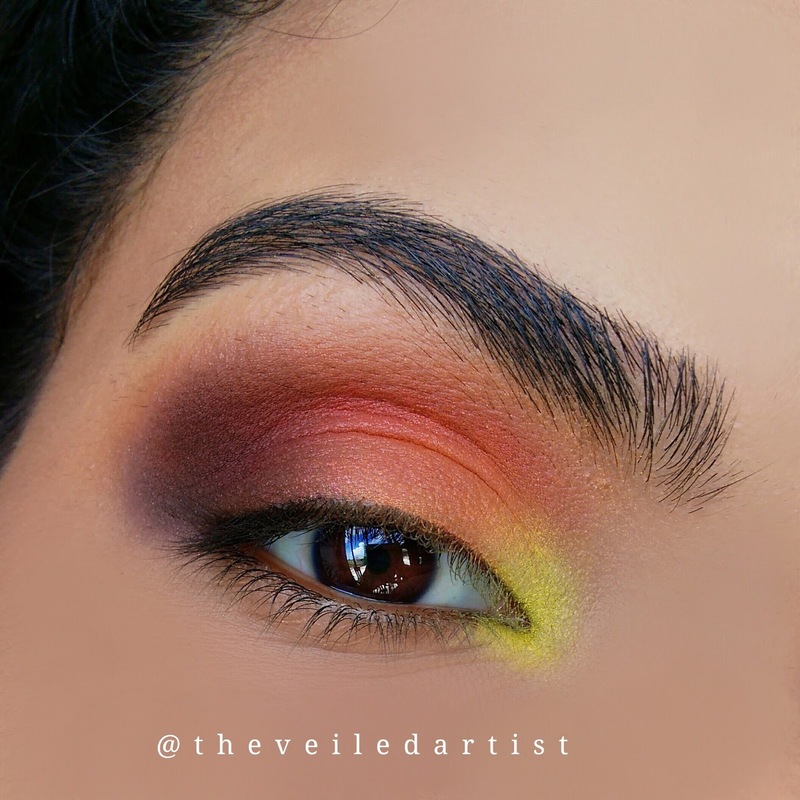 Pop that matte yellow eyeshadow into the inner corner of your eyes. I love how this adds life to the look! 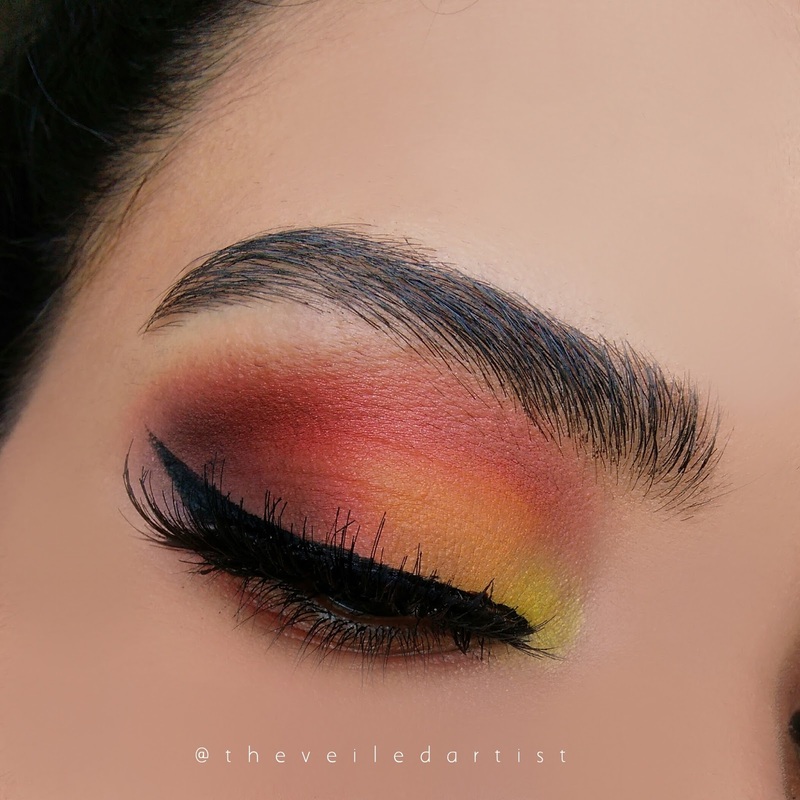 Messily apply the creamy black pencil on your lower lashline and then using the matte red eyeshadow, blend and blur this out. Apply your winged liner and then give those lashes a curl and coating of mascara. 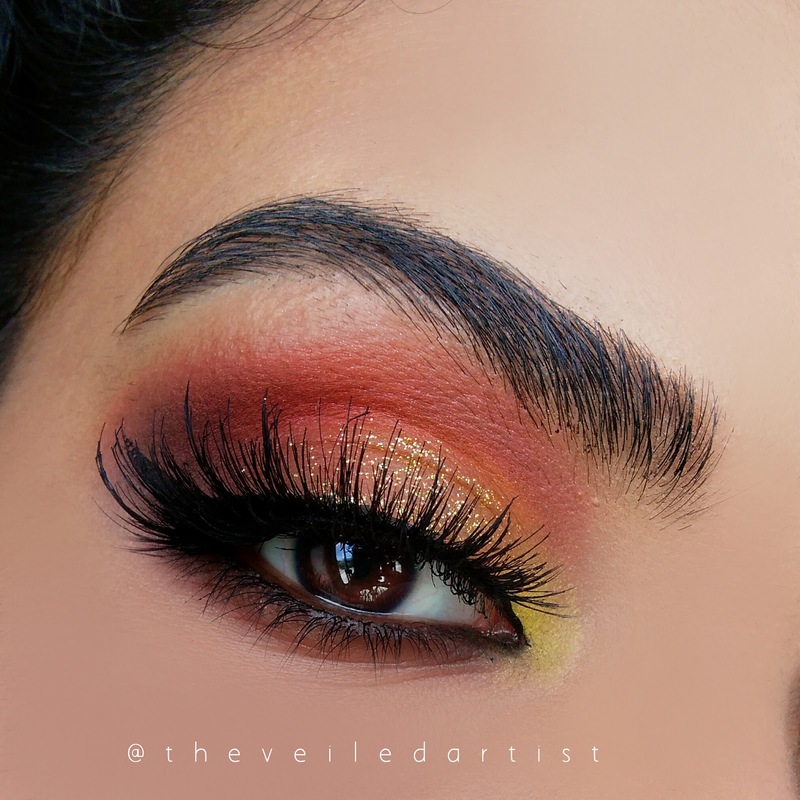 You can stop here, but I really love adding lashes to bright looks because I feel like they add a great finishing touch! So finally, pop on a pair of falsies and you're DONE!! After creating the full look I was messing around and decided to add some glitter to my lids and I loved how it looked! Scroll down for the pictorial and list of products I've used! 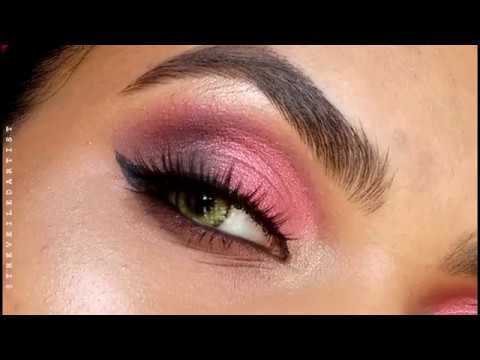 I really hope you enjoyed this look and try to recreate it guys! 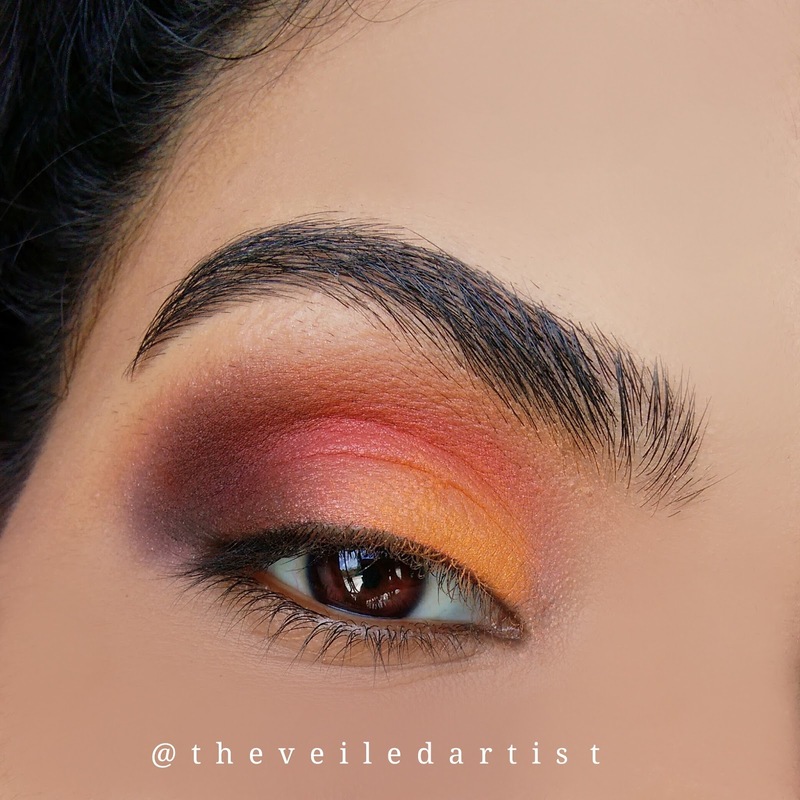 I would love to see your work, if you post them, tag me @theveiledartist! You can check my last tutorial on some fun shimmery pink and purple smokey eyes here!